A Year of Being Here: Barbara Crooker: "Some October"
enough to unbalance the equation. ask me if I've made a difference. like the breath of God, ask me again. "Some October" by Barbara Crooker, from Radiance: Poems. © Word Press, 2005. 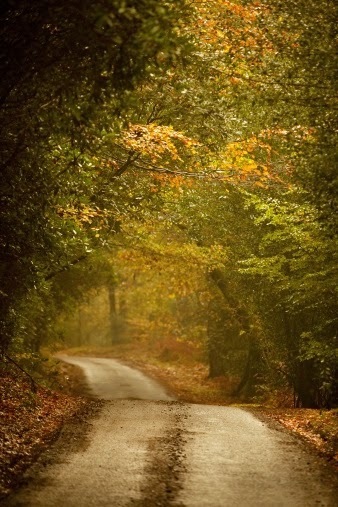 Art credit: "Autumn trees lining rural lane in woods," photograph by Ron Bambridge.